Both of my kids had to make boxes for their class Valentine's this year. My third grader was supposed to do his best making a box that represented his favorite book. My kindergartener was just supposed to make a simple box but wanted to go all out once he saw his brother's box! My third grader made a Harry Potter Valentine's box (with lots of help from my Silhouette!). He covered a round cake board in green wrapping paper. 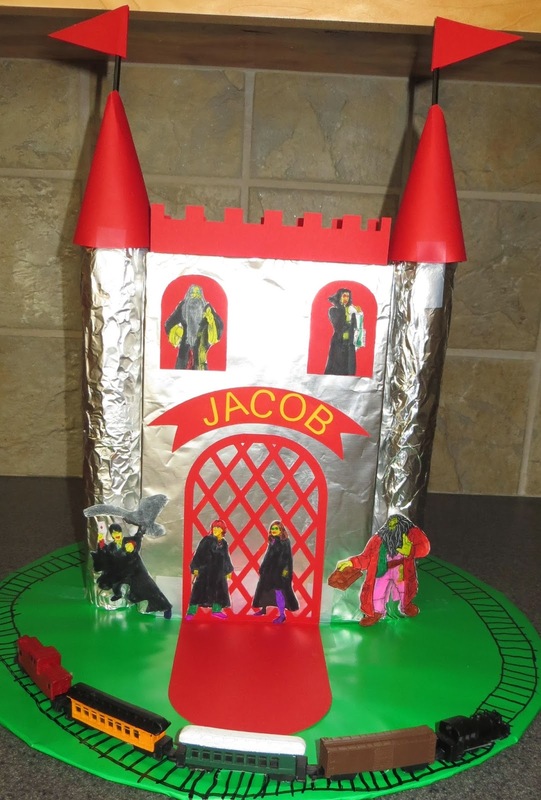 Then, he covered a cereal box and 2 paper towel rolls in aluminum foil and attached them to the green cake board. 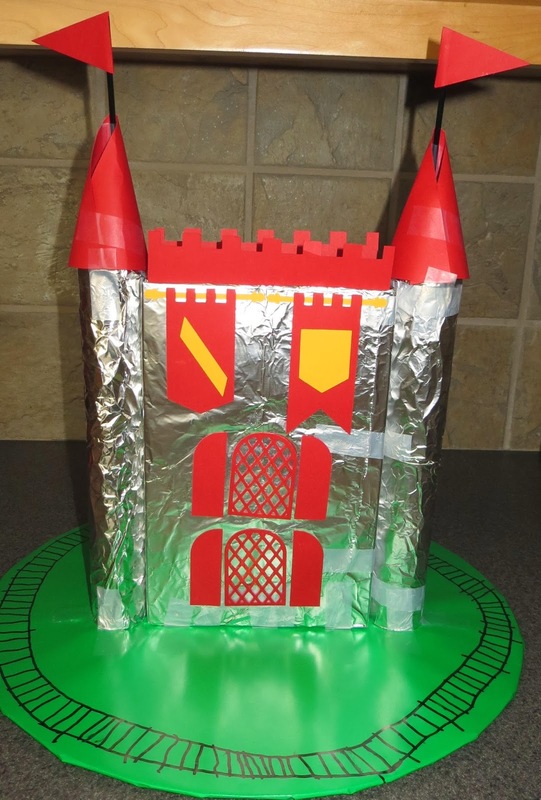 Next, he attached the shapes I had cut with my Silhouette (door, windows, flags, banners, cones, & castle top). Then, he colored characters from the book, cut them out, and glued them onto the box. Lastly, he drew a train track around the green cake board & glued down the "Hogwarts Express" train. It turned out really awesome! He loved it! 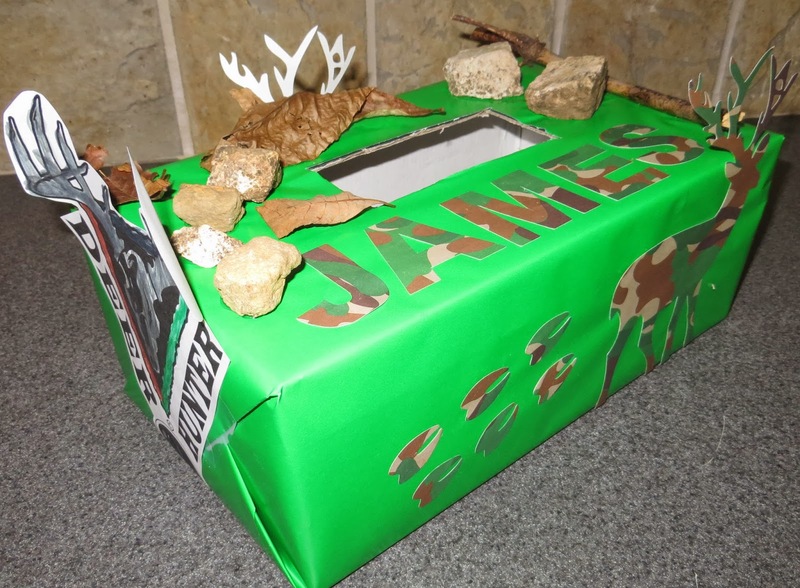 My kindergartener wanted a hunting themed Valentine's box (because that goes together SO well!) I wrapped a shoe box in green wrapping paper. Then, he attached his name and the deer with footprints shapes that I had cut out of camouflage paper on my Silhouette. Next, he colored some hunting coloring pages for the sides, cut them out, & glued them on. He also went on a nature hike and found sticks, rocks, & leaves that we glued to his box. He was so proud of his box and couldn't wait to show it off!